Now it has been confirmed officially that price of petrol and gasoline will increase soon after the implementation of value added tax (VAT) from 1st of January 2018. The confirmation is made by Federal Tax Authority (FTA) for the first time. DG of FTA told while replying a question that petrol available from service stations and other places will be taxed by 5% and it will increase the prices of petroleum and gasoline products. The DG added that crude oil and natural gas will be exempted (or zero rated) from tax according to the executive regulations released few days ago. But these products are not used to fill the car’ tank. Both petrol and diesel will come under tax net and people will be charged whenever they fill their vehicle’s tank after 31st December 2017. Previously, there was some confusion about the implementation of VAT on petroleum products because it wasn’t clearly mentioned in the decree. But now it has been confirmed that people will pay VAT on filling of both petrol and diesel after this clear announcement by DG of FTA. The government has also announced the implementation of VAT on necessary items like food products, water, electricity etc. This latest confirmation will further aggravate the situation for common people residing in UAE. Although, 5% tax is quite low but implementation of tax on almost all necessary products will somewhat affect lives and purchasing power of people. 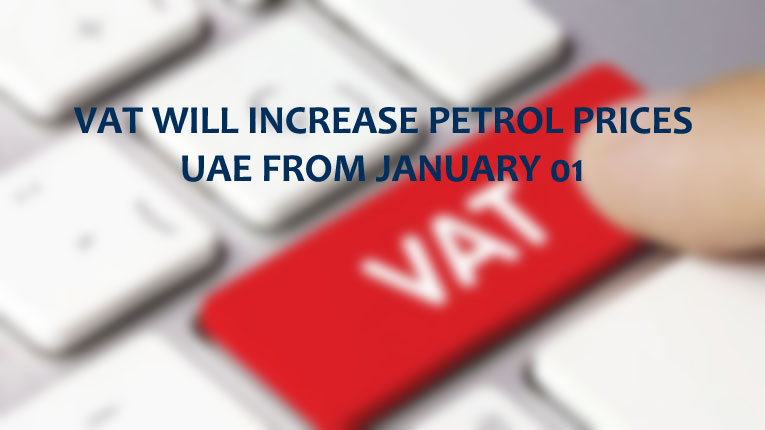 UAE and Saudi Arabia are the two countries that will impose VAT from 1st of January 2018 while other gulf nations are set to implement the same tax later in the year 2018. Previously in November 2017, Saudi Arabia also announced the 5% standard rate of VAT on purchasing of petroleum. It means that both these neighboring countries will impose the same tax on petroleum products.